Continuing my exploration of alternative venues this fall, I am showing a few paintings from the Brightly Colored Separates series (2010) and a new small painting at Gallery 195, an exhibition space curated and funded by the Greater New Haven Arts Council. If you’re in the area, I hope you can stop by the opening reception on Tuesday, September 13, 5 to 7pm. Surprisingly, the gallery is located in the lobby of First Niagara Bank! 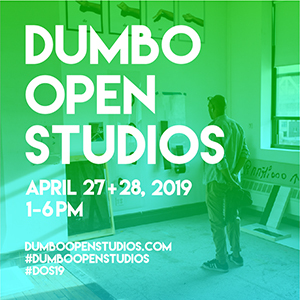 I have a soft spot for funded projects designed to connect businesses and their customers with the art community. Over the summer I had a three-month solo show at TowerBrook Capital Partners, an international investment firm on 65th Street in New York. Joelle Held, an administrative assistant who is married to artist Matt Held, started the TowerBrook Art Program as a way to bring art into the corporate environment and also to support artists. 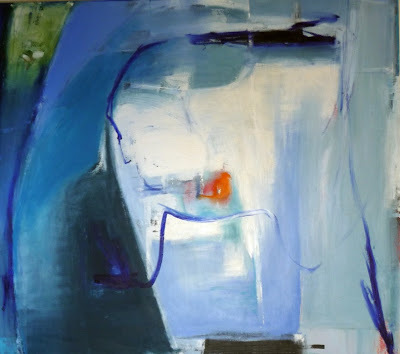 Painter Angela Gualdoni has agreed to do the next TowerBrook exhibition this fall. The Arts Council of Greater New Haven presents an exhibition of works by Sharon Butler and Geoffrey Detrani at Gallery 195, September 14 through December 9, 2011. Curated by Debbie Hesse. 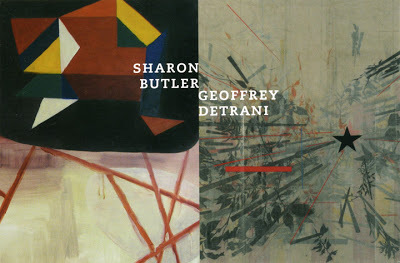 The exhibit will feature paintings by Sharon Butler and Geoffrey Detrani. Detrani’s energetic, linear “imaginative landscapes” contrast with Butler’s juxtaposition of brilliant color against stark backgrounds. 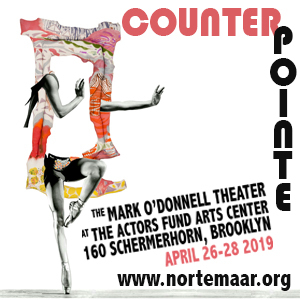 Sharon Butler, an artist and writer, has received several grants and awards including a Pollock-Krasner Foundation grant. She blogs at Two Coats of Paint. Geoffrey Detrani is an artist, writer, and poet from Hamden, CT. Geoffrey’s work has been featured in numerous collections and galleries and has been the featured artist for such publications as The New England Review, Hayden’s Ferry Review, and Artscope Magazine. Geoffrey has received multiple grants and awards such as the 2006 Chashama Visual Arts Studio Award and the Helene Wurlitzer Foundation residency grant. He is a contributing writer for the New Haven Advocate and a teacher in New Haven, CT.
Gallery 195 @ First Niagara is located at 195 Church St., 4th floor, New Haven, CT. For more information call the Arts Council at (203) 772-2788. NOTE: To pick up one of my small paintings on the cheap, buy a ticket to the Greater New Haven Arts Council’s upcoming benefit, Somewhat Off the Wall. 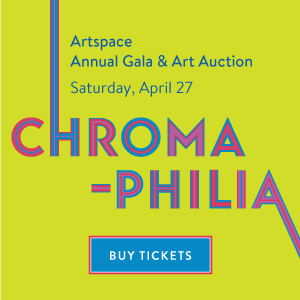 Tickets, each $100, will entitle guests to take home a piece of art. I donated three small paintings on canvasboard. Sunday, September 18, 2011 from 5-9pm, 760 Chapel Street, New Haven. 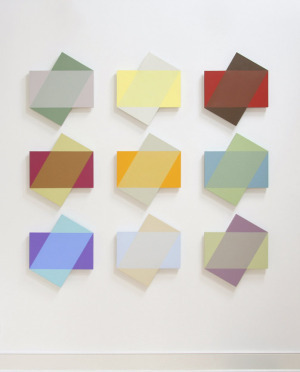 While you’re in New Haven, it would be a shame not to check out the abstract paintings by Emilia Dubicki and Blinn Jacobs at Kehler Liddell, on view through October 9, 2011. I was in a show with Dubicki last spring at A-Space. Her paintings investigate the distance between collective memory and perceived reality. Jacobs presents new works from the Counterpoise Series, Tie Rod Ribbon Series and a new wall installation. Keep in mind that the 14th Annual City-Wide Open Studios takes place in New Haven October 13 through 30, 2011. For a listing of events, which take place over three weekends, click here. great collaboration. I enjoy all venues that showcase art & often the unexpected location really adds to the experience. Next Next post: Guts and Glory?